I’m very excited to be launching my new session, The Jazz Salon. I’ve been mulling it over for a while now but, finally, it’s happening thanks to the wonderful team at Tomorrow’s Warriors and Ray’s Jazz. 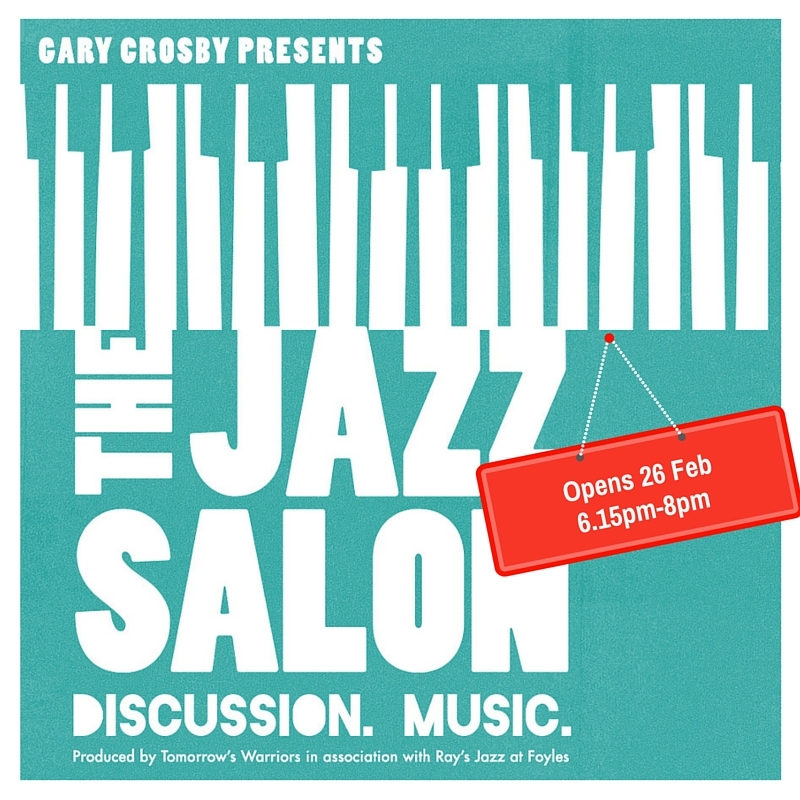 The Jazz Salon is hosted by my friend, journalist and broadcaster, Kevin Le Gendre who will have a conversation with our guests to get their insight into the cultural reverberations of jazz of particular interest to the individuals: Health & Wellbeing (26 Feb),Food (25 Mar), Spoken Word (29 Apr), Dance, Art (27 May), and Dance (24 Jun). Guests include jazz trumpeter and yoga aficionado Yazz Ahm ed, broadcaster and Jazz FM presenter Helen Mayhew, poet/DJ Charlie Dark (in association with Apples & Snakes), vinyl specialists Gearbox Records, and dancer/choreographer Sean Graham. I’ll be leading the Jazz Salon House Band featuring emerging talent from my Tomorrow’s Warriors cohort, and we’ll be picking up the conversation where it’s left off by playing a selection of related jazz repertoire. Tomorrow’s Warriors Youth Orchestra will be making a special appearance in March to recreate the sounds of Duke Ellington’s Cotton Club. Keep in touch and follow us to see our recommended listening and reading lists for our salon sessions! Ball Of Fire is the killer opening track on Jazz Jamaica All Stars ‘Massive’ album released in 2001. The CD is no longer available but the album can still be obtained as a download from iTunes and the Dune Music Store. In 2011 the album was relased as an audiophile vinyl limited editon by Gearbox Records.